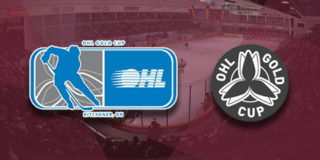 Coming off of a near comeback on home ice on Thursday night, the Petes were hoping to reverse their misfortune as of late in the Nation’s Capital on Friday night. Despite a tie through more than 20 minutes of play, the league’s top team eventually shut out the maroon and white 4-0. The first frame was highlighted by a series of electric saves by rookie netminder Tye Austin, who was in the crease for the second time in as many nights, to keep his club in the game despite a shortage of offence. 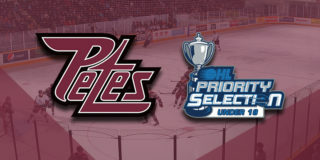 The only mark of the score sheet came in the final five minutes of the period when the Petes were sent to their first power play of the evening. With a 67 in the box for slashing, the visitors managed a shot on net but couldn’t convert on the chance. A 0-0 tie wasn’t a reflection of Ottawa’s 11-4 lead on the shot clock after 20 minutes. The middle stanza was all 67’s as they potted three goals to take a commanding lead of the match. Austen Keating and Marco Rossi worked the puck off the boards, skating into the middle and moving the puck to Nikita Okhotyuk on the point. Okhotyuk released a point shot that found its way over Austin’s shoulder at 1:21 to give the Capital’s club a 1-0 lead. A 67’s infraction, sandwiched by four Petes penalties, followed before Rossi tallied Ottawa’s second goal ten minutes later. While on a 5-on-3 power play, Tye Felhaber sent a pass to Sasha Chmelevski through the slot. Chmelevski wired a shot off the glass behind the Petes net and the puck bounced onto the blade of Rossi’s stick. Their third was scored by rookie Jack Quinn off of a Noel Hoefenmayer rebound, with Graeme Clarke picking up the second assist. Michael DiPietro remained perfect through 40 minutes, turning aside Peterborough’s 10 total shots. The animosity between the division rivals was prevalent through the final frame, with 13 combined penalties. In between the commotion, Felhaber sealed Ottawa’s 4-0 victory with his league-leading 47th goal of the campaign at 5:52, with Hoefenmayer and Keating credited with assists. Final shots were 28-15 in favour of the home team. 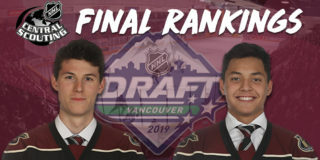 DiPietro, Okhotyuk, and Felhaber were named the game’s first, second, and third stars. 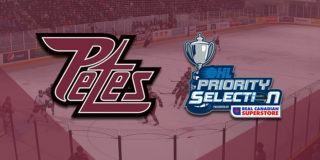 The Petes return home to welcome the Sarnia Sting to the PMC on Saturday, January 19 at 7:05pm.